The Avenue of the Giants is another one of those places that photos just can't do justice. There's no way to really feel the hugeness and grandness of these massive redwood trees until you go and stand at the base of one. The 31-mile long Avenue of the Giants is a scenic road just of Highway 101 that winds through Humboldt Redwoods State Park in Northern California. 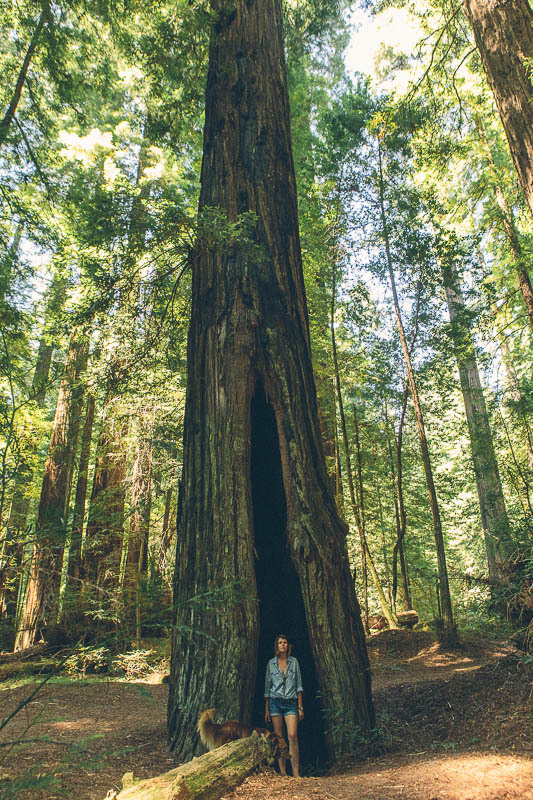 It goes past some of the tallest and oldest redwoods in the area; some are over 1,000 years old and more than 350 feet tall! 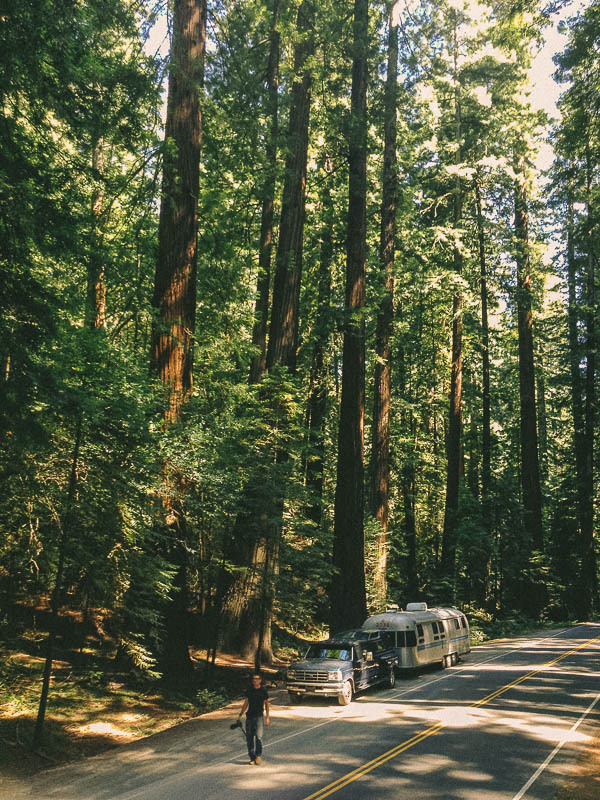 We drove along the sun-dappled Avenue on our way to Klamath, pulling over every few miles to walk through these magical giants. 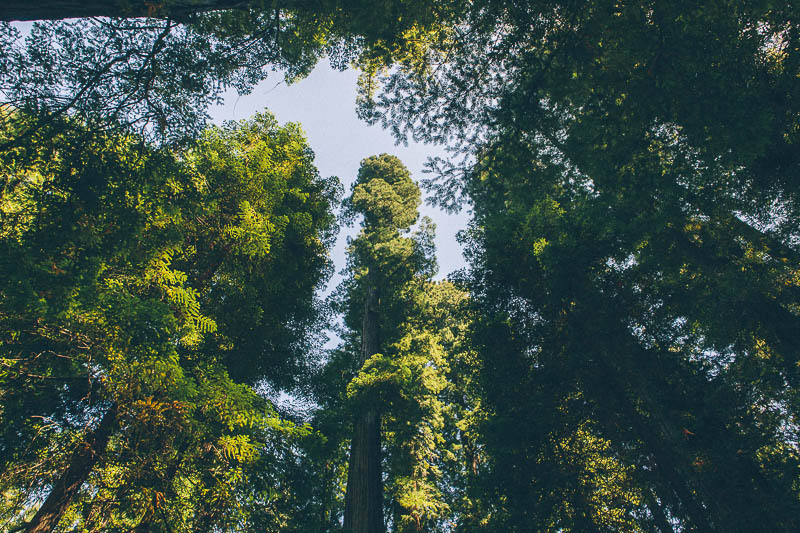 There's such a sense of calm and quiet amongst these Coast Redwoods. If there were ever an enchanted forest, this would be it. We came across a huge felled redwood lying on it's side with a clear path to climb on top. I clambered up the side and found myself standing 12 feet above the forest floor. How must it feel to be 300 feet up?? 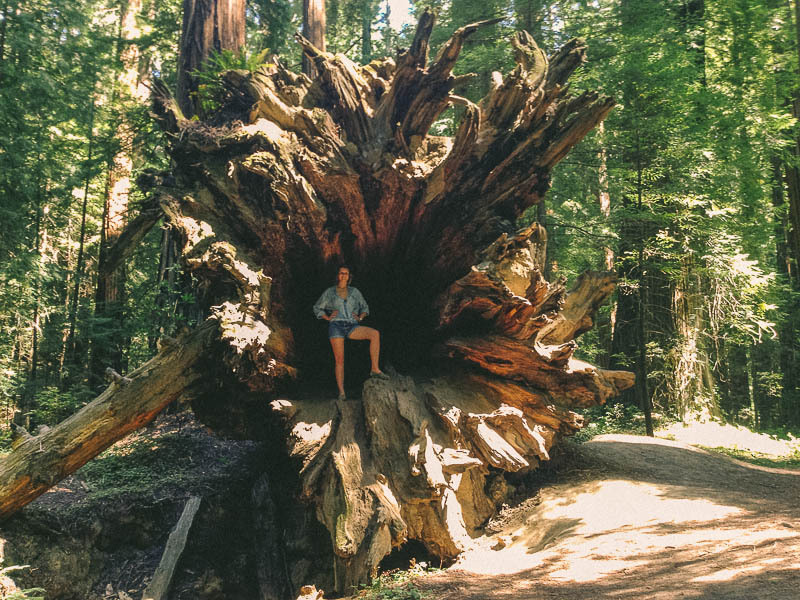 I walked the length of the felled redwood towards the roots and peered down into the core of the tree. This thing was massive! I called John over and proclaimed that I must get inside this tree trunk. I climbed down and into the belly of the tree. It was dark and musty and there were probably giant spiders lurking in the dark. I felt like a tiny creature being inside the center of a tree. Crazy. Amazing. 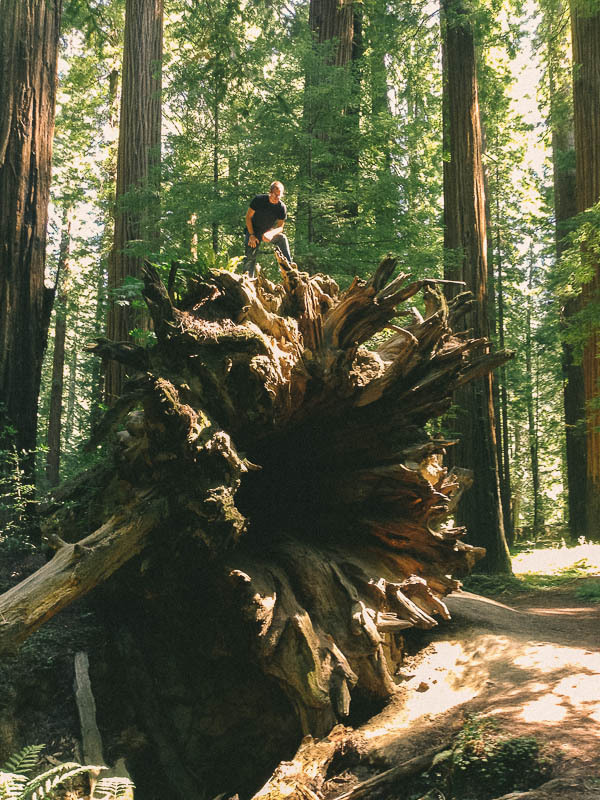 We continued on, jaws dropping and necks craning at the sight of thousands of these ancient giant redwood trees. 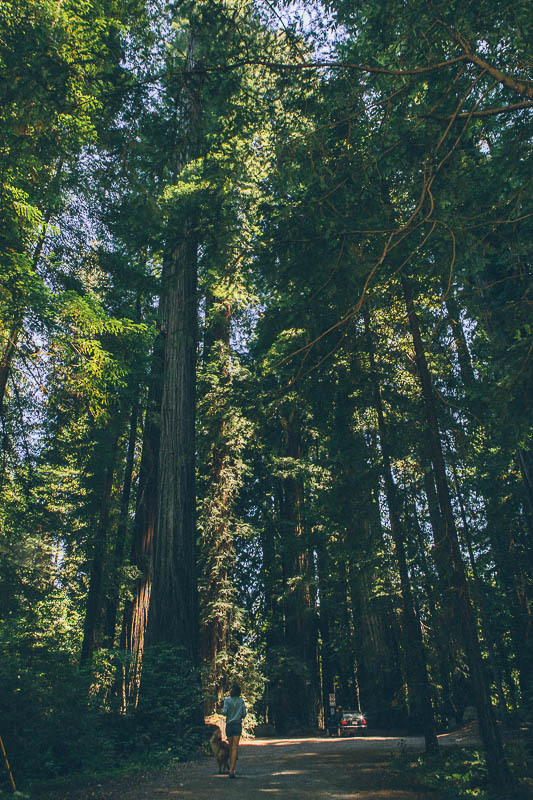 I only wish we could have spent more time thoroughly exploring the forests of Humboldt Redwoods State Park. Special thanks to Dustin D. (who suggested Forget the marathon, see the trees!) for making this blog post possible!